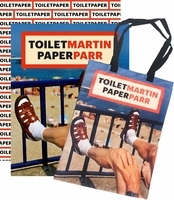 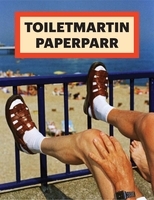 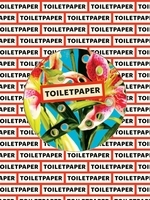 The Tar Edition is a special issue including the best images from Toilet Paper 1, 2 and 3. 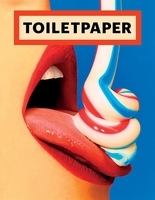 According to Les presses du réel, "The reorganization of the photos into new sequences suggest new meanings..."
"Toilet Paper is a new generation of magazine that unites advertising photography, bizarre narratives and surreal flights of fancy in strong and impressive images. 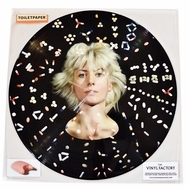 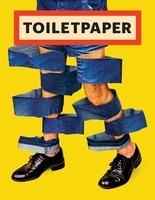 By appropriating images from the information highway as found images or using them as inspiration for new images, Toilet Paper functions as the latest printed reading material of our time, both in its visual form and intellectual mindset." 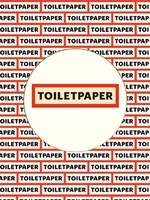 Excerpt is from Kunsthalle Zürich at Cabaret Voltaire, where Toilet Paper was presented in April of 2011. 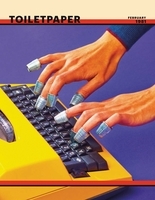 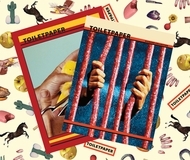 Published for the release of the Summer 2011 issue of Tar, Toilet Paper: Tar Edition is a special edition of this extravagant publication, gathering the worst images from the first three issues of Toilet Paper into one volume. 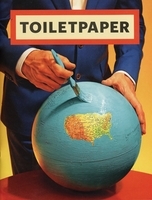 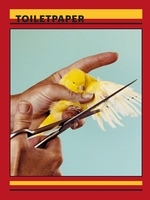 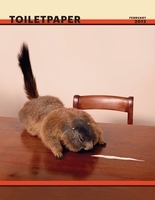 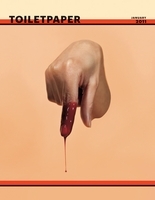 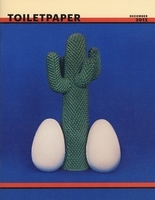 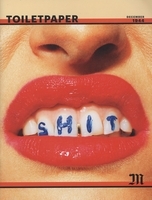 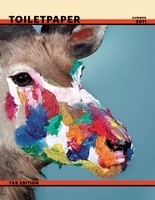 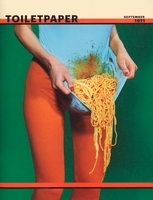 Part magazine, part artist's book, Toilet Paper is conceived and edited by Italian-born provocateur, mischief-maker and macabre witness to our times Maurizio Cattelan, and his fellow countryman photographer Pierpaolo Ferrari. 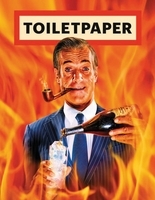 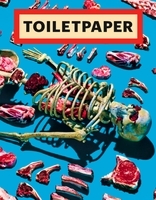 Published by Deste, Toilet Paper contains no text; only full spreads of photographs, replete with twisted narratives and surrealistic imagery that often appropriate the slick production values of commercial photography to deliver dreamlike (or nightmarish) tableaux that are as appropriate for the coffee table as they are for the WC.